Are you posting people that have Deceased or been Bereaved? 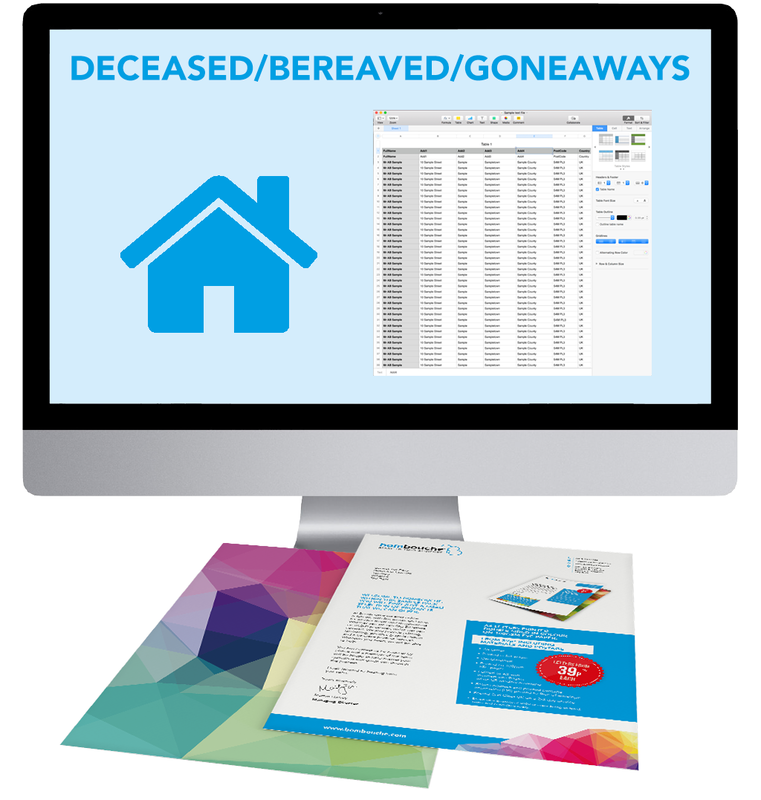 We offer a service of checking for Deceased or Bereaved members of a household, this works well for personal addresses but also in some instances for commercial addresses as well. The benefits are quite obvious really, you don’t upset people or other members of families where they have a deceased or bereaved member but also you save the cost of materials and posting as the likelihood of them contacting you is slim….. and it’s a good thing to do. Are you posting people that have Moved House? We offer a service where we can check if a person has moved house, this mainly applies to Households, and personal addresses. So how do we do this, Royal Mail has a database of people that have registered to have their mail forwarded, and this is where a lot of the information comes from. Firstly you mail people that actually live at the address, not a lot of point mailing them if they have moved, so there is a monetary saving in the materials and postage. But the key thing is that you get the moved to address which keeps your database up to date and you should keep more clients and hence orders.